An affordable and competent ultra-compact digicam, the Sony Cyber-shot DSC-W650 has excellent quality and performs on par with other cameras in its class. It's price tag of under $140 makes it a great candidate for anyone on a budget. Read more in our Full Conclusion. 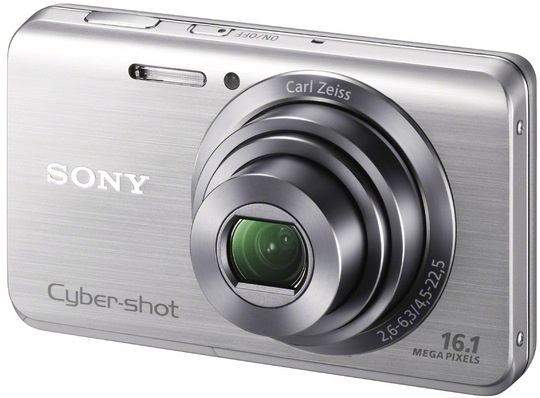 For 2012, Sony has released three new Cyber-Shot W-series cameras; the DSC-W650, DSC-W620, DSC-W610. These ultra-compact models build upon the popular features of past cameras, with various 2012 upgrades. The most appealing feature of these new cameras is the price; each are under $140 USD! The Cyber-Shot DSC-W650 boasts a 16-megapixel SUPER HAD CCD image sensor, a 5x optical zoom lens, 3.0-inc LCD screen, Intelligent Auto exposure controls, 360 Sweep Panorama, Optical Steady Shot image stabilization, and much more. This is all stuffed inside a petite metal frame that comes in three stylish colors; Red, Black, and Silver. The W650 is available now with a suggested retail price of just $139.99 USD. Check our buy box below for the most current pricing at various online vendors.